We will provide a truly unforgettable chocolate experience that your guests will be talking about long after the party ends. Our unique fountain displays are stylishly decorated creating an elegant center piece of mouthwatering cascading chocolate with delicious dipping delicacies. Over 1 metre in height. Fully trained operator to serve your guests for as long as you like, so no mess, giving your guests the confidence to visit the fountain over and over again. 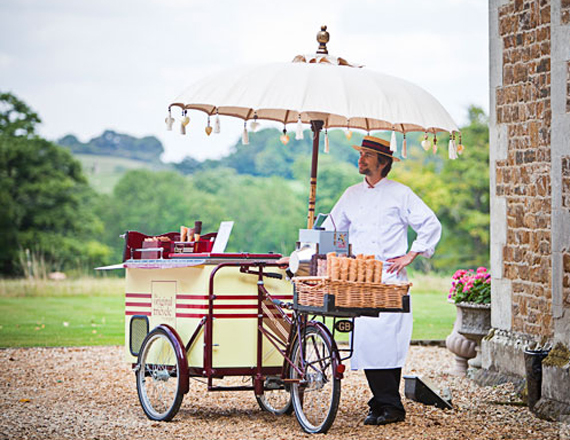 We can serve ice creams at your wedding for an all inclusive cost or we can sell for a percentage at your event. We can supply the ice cream of your choice!